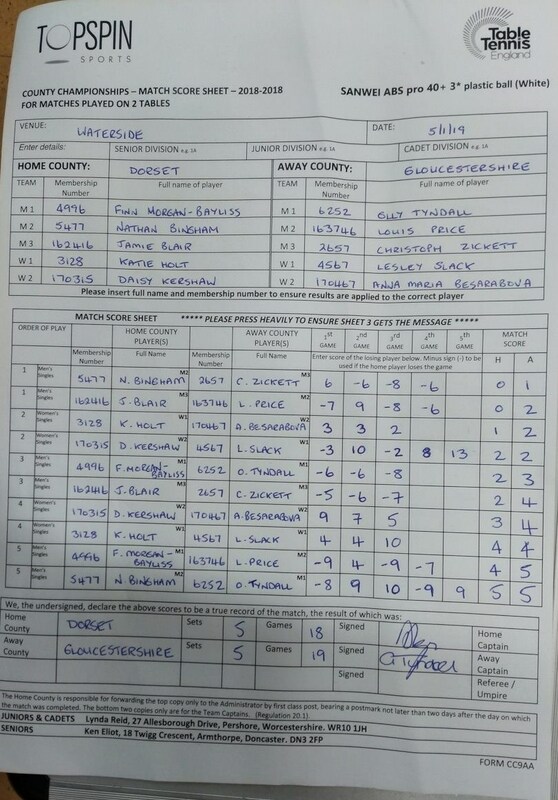 The Gloucestershire County Senior team were in action yesterday at Waterside TTC, Southampton. This year the team included Anna Maria Besarabova, Lesley Slack, Olly Tyndall, Louis Price & Christoph Zickert. 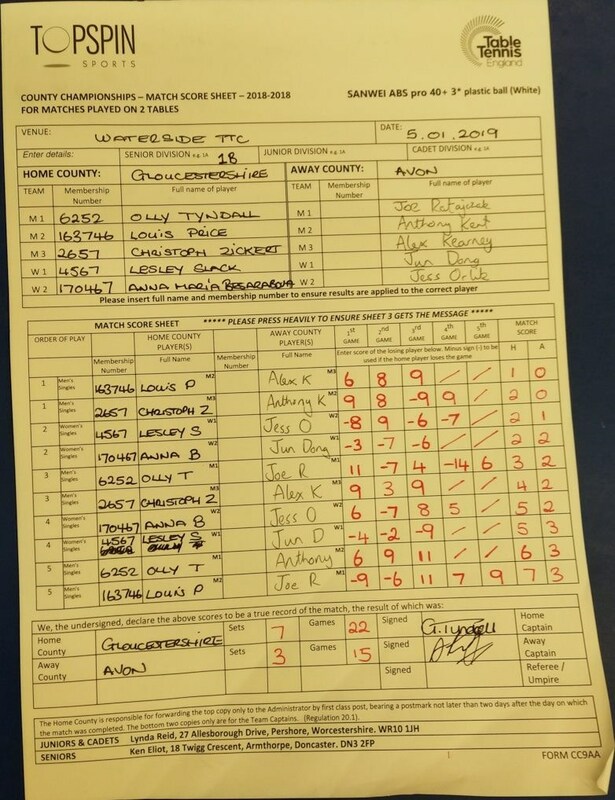 Having gained promotion from Division 2 last season, competition was always going to be tough in the higher division. 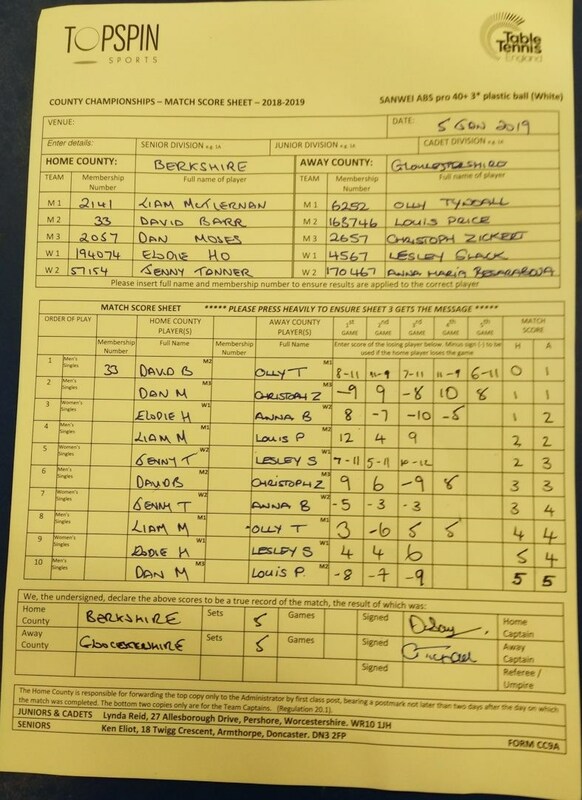 Starting the day with 2 draws against both Dorset and Berkshire in the morning, the team gained strength to beat both Avon and Sussex 2 in the afternoon. 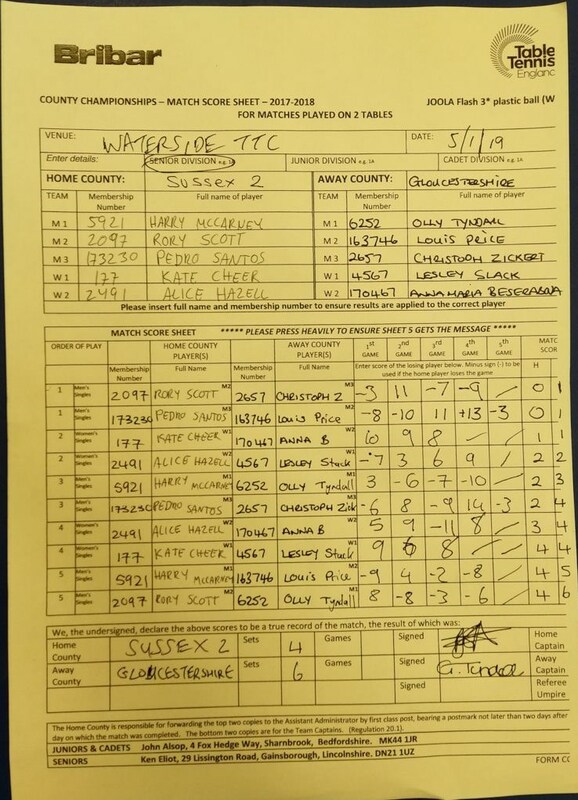 Gloucestershire team played superbly well all day and remain unbeaten after 4 matches, with 3 fixtures remaining which will be played again at Waterside TTC, Southampton on March 30th, 2019.